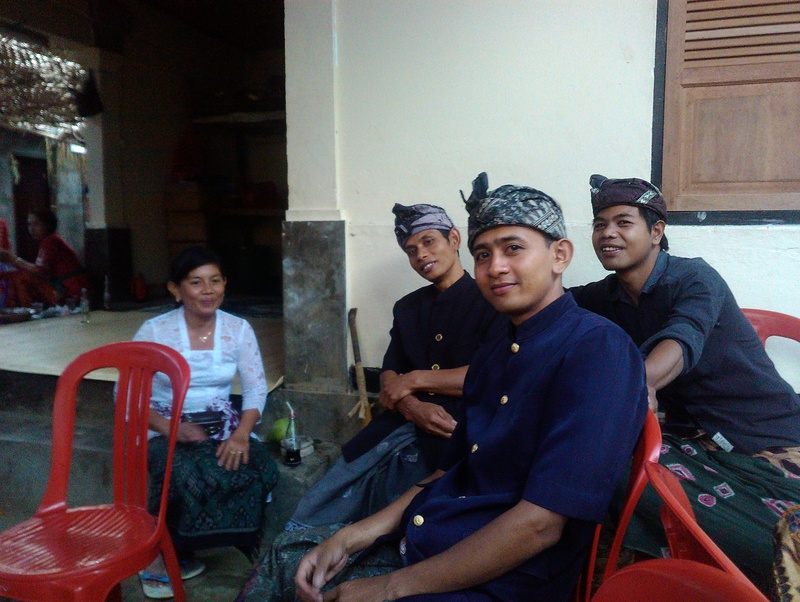 Damai Permaculture agro andHer you see our local #Jiwa# center team in their beautiful ceremonial outfits. The elegance and beauty is truly remarkable. 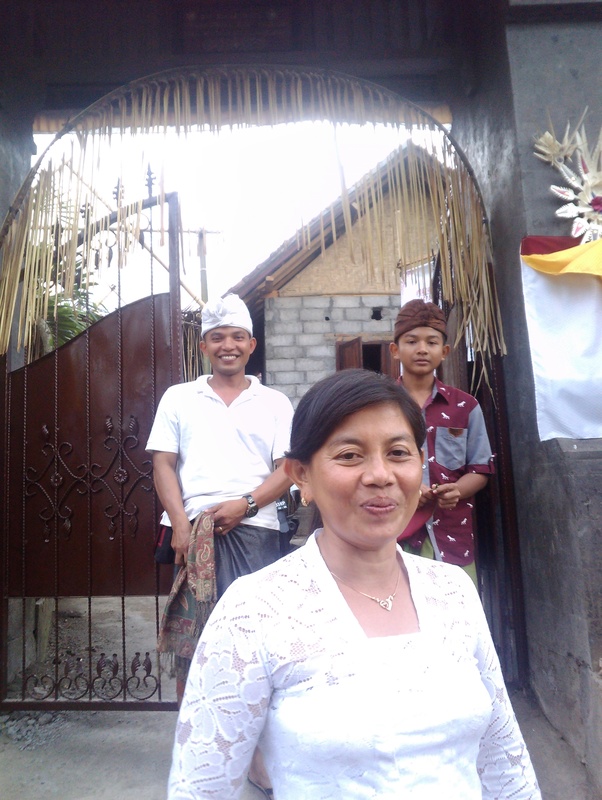 This dressing up was on the occasion of visiting a colleague having a house ceremony. 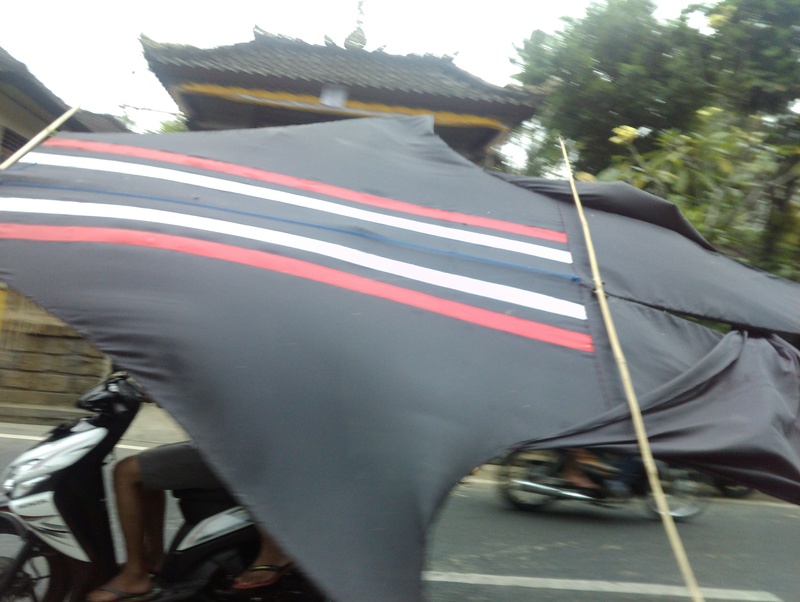 Balinese kites are very special. August is called the windy season and many kite festivals and kite flying competition take place. Usually the kites are a communal project of the respective youth organizations. Sizes can vary form a smaller kite to the size of a large truck. They are transported by rage trucks to the competition event, while to overhanging parts are supported by youth marching next to the truck. Guests during this time at #Jiwa#Damai Permaculture retreat center you can listen during the night to the long tails flattering in the wind, making very rhythmic sounds. 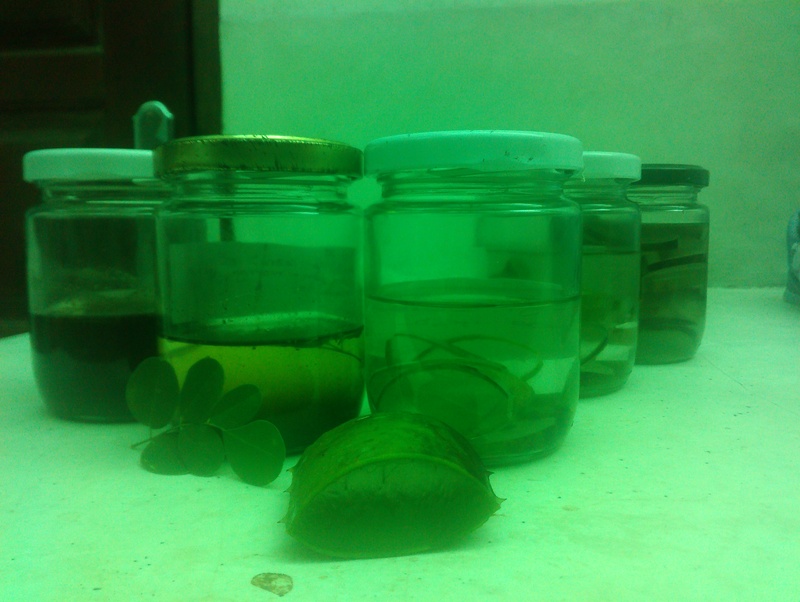 We are always ready at Jiwa Damai to develop new tastes and items. 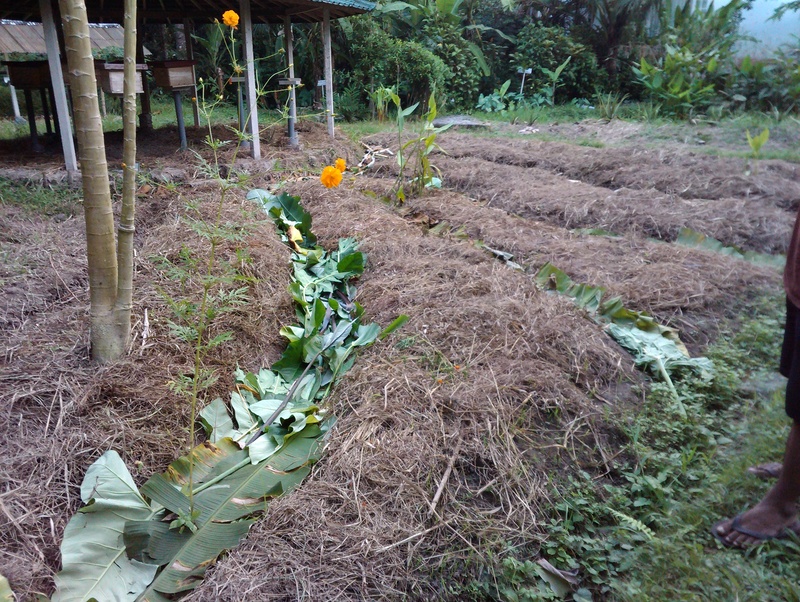 The green color in the photo is from the green roof covering our coco house production. Here we are experimenting with Aloe in #coconut oil, and with the wonderful leaves and powder from the #Moringa tree in coconut oil. We would like to explore what these what these powerful health combinations effect. Of course we will try them out for a while before offering to others. Our garden beds have been prepared for planting pumpkins and squash. First the earth is lightly turned over and loosened, then sand and compost and ash from our coconut shells is added. Followed by newspaper and cardboard as a mulch and dried grass. A bit later, small round openings will be created to set the new plants still growing from seed in our #permaculture nursery. 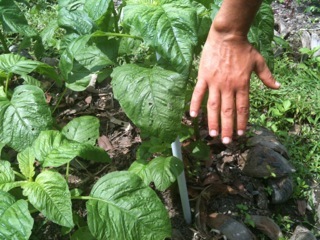 This is the actual size of our #Permaculture Garden spinach. 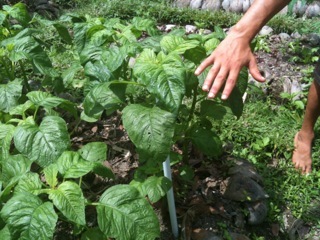 It was grown with our own #organic compost and with compost tea. Its taste is indescribable.